Victor Phuoc, MD, FACS, hears these questions routinely from his patients. Now, he can give them an additional option for surgery that can make their recovery even faster and easier. Phuoc, along with other cancer surgeons at The University of New Mexico Comprehensive Cancer Center, are pioneering new surgeries in New Mexico using the da Vinci robot. 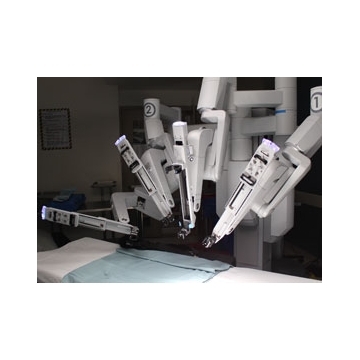 Robotic surgeries, he says, offer several advantages and combine the best features of both open and laparoscopic surgeries. In open surgery, the surgeon makes a large incision on the abdomen that allows for hands and instruments to go in, manipulate organs and remove the tumor. People can face weeks of recovery, not only from the size of the incision but also from the increased risk of infection and the necessary organ manipulation. “When these [abdominal] organs are placed into an abnormal position for several hours at a time during open surgery,” Phuoc explains, “it takes time for the organs to regain normal function.” It can take days, he says, for intestines to work again. In laparoscopic surgery, the organs remain in place and the surgeon works around them to remove the tumor. The surgeon makes small cuts, each just large enough to allow the narrow instruments to pass through. People recover faster from laparoscopic surgery, but the surgery requires more planning to remove all of the tumor. Sometimes, the surgeon may convert a laparoscopic surgery to an open procedure if the tumor has altered the person’s anatomy in an unexpected way. The conventional, straight laparoscopic instruments restrict the surgeon to working within a fixed angle. The distorted position of the internal organs may prevent the surgeon from angling the instruments as planned to safely operate and remove all of the tumor. In a robotic surgery, Phuoc rarely needs to convert to an open surgery because robotic instruments can bend to move around organs and tumors. And they can rotate in any direction. “With robotic surgery, you can expose areas and perform complex and precise dissection that really is not possible with conventional laparoscopy,” he says. Robots offer another benefit: they don’t have a pulse. Every human hand, no matter how steady, produces tremor when moving instruments or holding a camera during a very precise operation. Phuoc has completed the first robotic surgeries in New Mexico for liver, pancreatic, esophageal and gastric cancer. For those with metastatic colon or appendiceal cancer, he’s robotically performed hyperthermic intraperitoneal chemotherapy, or HIPEC, a procedure in which he flows heated chemotherapy drugs around organs in the abdomen so the drugs directly contact cancer cells. Fellow UNM Cancer Center surgeons Ashwani Rajput, MD, FACS, and Bridget Fahy, MD, FACS, have also used robotic surgery more for their advanced cancer surgeries. Phuoc continues to train to bring other robotic cancer surgery procedures to the state. Training a surgeon to perform a robotic surgery is like training a teenager to drive a car. Surgeon trainees practice a particular procedure many times on cadavers and with simulators. They also observe robotically experienced surgeons perform that procedure several times. When they have demonstrated enough skill with the robot, their first surgeries for that procedure are closely supervised by a robotically experienced surgeon. 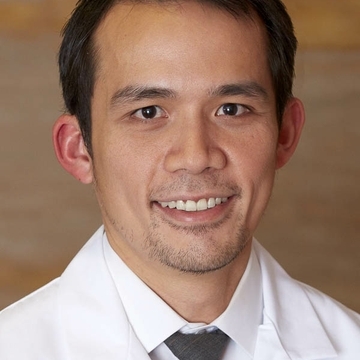 Victor Phuoc, MD, FACS, is an Assistant Professor in the Department of Surgery, Division of Surgical Oncology, at the UNM School of Medicine. 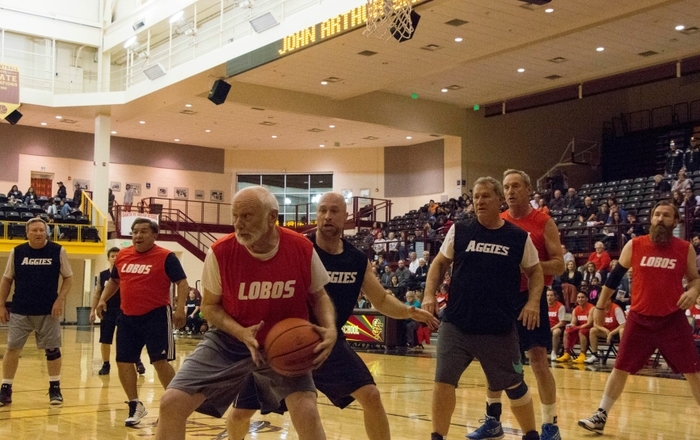 He is certified by the American Board of Surgery and practices at the UNM Comprehensive Cancer Center.